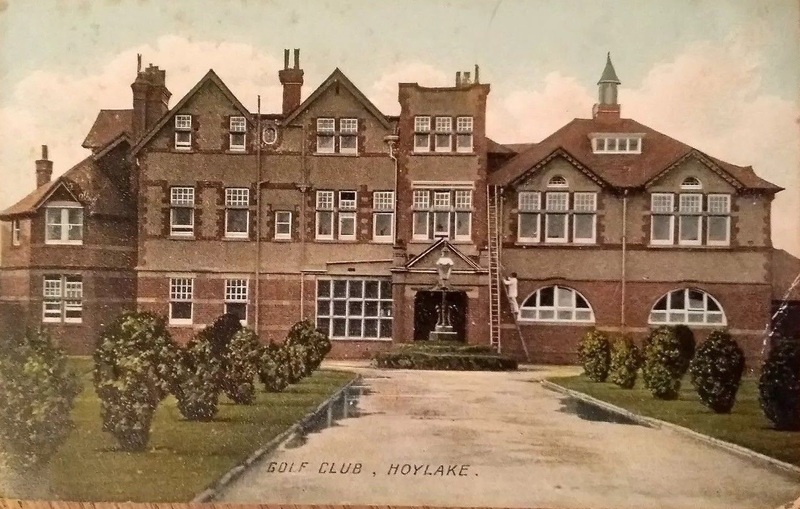 Here’s a nice old photo of the Royal Liverpool Golf Club. Dated 1910, the photo captures a workman doing some repairs off ladders. Interesting that the club once had lawns – they’ve since been replaced by a large car park of course. A chimney stack has appeared between the years on the right of the clubhouse along with an extension. Some ground-floor windows have been replaced in a different style …which is a shame. 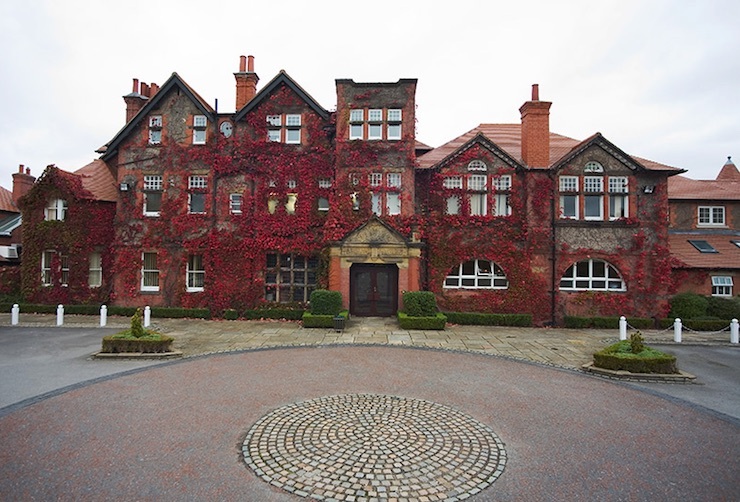 I went past today and the ivy is looking rather resplendently red.